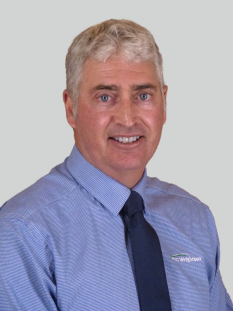 Calvin Leen is proud to have serviced New Zealand’s rural sector for 25 years. Build and maintain great relationships: Good relationships in business are essential to success. After 25 years investing his time in people, Calvin's networks embrace everyone from the farmgate to the boardroom. It gives him great professional and personal satisfaction to be able to conduct business from a position of trust and respect. Lead from the front: Calvin has always been very sales-focused and profit-driven. Through developing marketing, brand awareness, and getting the right people on the team, he has a consistent record of exceeding sales targets and growing business. Develop the strategy then make it happen: Calvin's ability to evaluate the strengths and weaknesses of a business and plan its future direction are the factors that contribute to his consistent ability to grow business. In particular, his key strength is leading the implementation of these strategies. He has a track record of getting the right people on board to get the job done, and then keeping those people focused and loyal to the business. Understand the market: There’s a difference between watching land sales and valuations fluctuating and really understanding all the factors in the wider economy that affect those living in rural New Zealand. This knowledge gives Calvin the edge, not only in understanding how to best service his clients, but also in driving strategies for the business to ensure continued success.